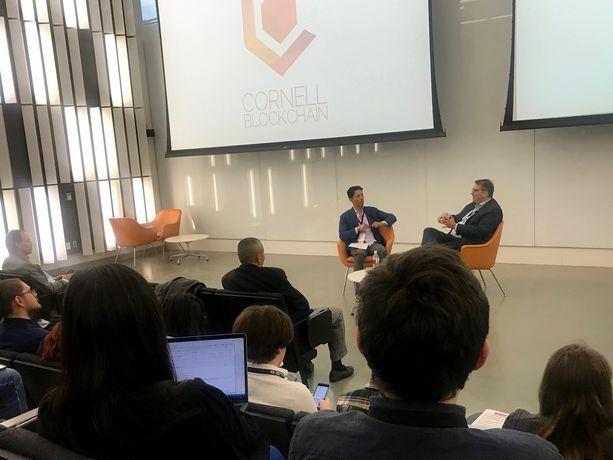 John Wu, CEO of Digital Assets at SharesPost, and Brian Kelly, founder & CEO of BKCM at Cornell Tech’s NYC campus. The researchers even built their own bot to better understand how such trading practices were possible — and, to their surprise, even received buyout offers, Juels said. They declined. “This should incentivize the community to consider new exchange designs,” Juels said.